I'm a bit behind on posting my summer tunes this year but better late than never! I can't think of a better one to start with than this glittering gem from Puro Instinct. You can always count on them to deliver dreamy tunes that make your heart flutter like bumping into your crush at the Mall in front of the 5.7.9. Puro Instinct for Bullett Magazine. Full disclosure: this one is super catchy and will make you want to dance . Without feeling like a throwback, something about it makes me want to listen to some of the songs on Primal Scream's Screamadelica or Happy Mondays or Stone Roses or other madchestery acid house tinged tunes of the early 90s. The love-everyone-positive sunshiny lyrics contribute to that sentiment, I suppose. All I know for sure is I'm failing miserably at resisting the strong urge to hit repeat every time the song ends. Hashtag Infinite feedback loop. Upbeat but chill, which helps the mind unwind in these tumultuous, muggy, and steamy days. An especially chill groove to commence unwinding après-workweek. Preceding Malle's «Ascenceur pour l'échafaud» as well as Truffaut's «Les Quatre cent coups» by two years, Early Spring foreshadowed the move towards the intimate, quotidian microcosmic film narratives that would become the keystone of the European "New Wave" cinematic movements of the 1960's; effectively washing over the traditional storytelling styles and themes; and moreover, quintessentially redefine the quality of acting, the type of stories told, push the boundaries of the medium and renew the visual presentation of mainstream films from then on out. But every fire has a spark. 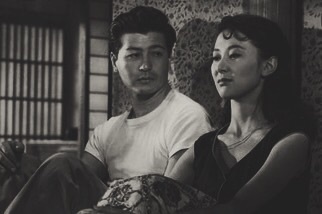 And watching Early Spring as well as other later Ozu works, it doesn't take much to see that they provided many sparks of brilliance that helped feed that nascent, revolutionary fire. The use of gaze, how it is averted, how it is cast, is outstanding in its complexities and how beautifully it's used to add another layer of narrative and emotional conveyance. The phrase "subtle yet palpable" best describes these visual cues. It's a thing of beauty, like witnessing an harmonious, impromptu dance, or a seemingly-perfect asymmetric composition. Yasujirō Ozu is one of my favorite directors and Early Spring is a good example as to the stories he chooses to tell and how he chooses to tell them that is so special and touching in the beauty. N.B. : Running commentary captions included. May contain spoilers. The morning after their illicit rendezvous, she gazes at him bewitched by the gauzy glowing blur cast by post-coital bliss. He gazes, realizing he has lost the enthusiasm of her admiration. Here, a loveless marriage where the parties cannot even bear to face one another. The death of wifehood is welcomed, staring blankly upwards, on a lonely night full of doubt, suspicion, and resentment. A conclusion of sorts is established by looking at one another; signifing the split of two separate individual lives bridged by the unspoken bond of shared memories. Still great several years in... Not that it has ever left my awareness, of course. Never forget & Always ask the tough but important questions. 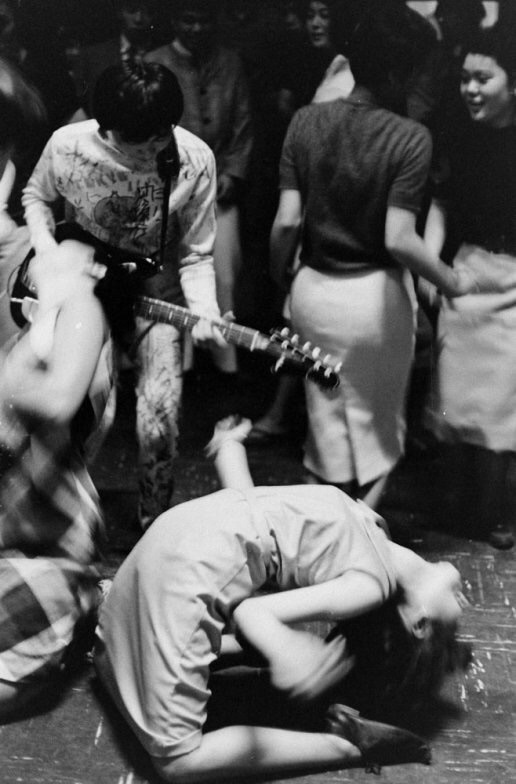 And, don't forget to dance, which makes evetything worthwhile. Outerwear silhouette inspiration. Early 60s magazine illustration by Coby Whitmore. There's plenty of wonderful examples of Whitmore's post-war, stylish, melodramatic & inspiring work. This second video playlist is not-so-lil’: it’s brimming with some of my favorite synthy and gazey tunes that just happen to be great for these literally and figuratively torridly steamy days of midsummer. Like the previous one, feel free to play either in the order I’ve chosen, or, throw caution to the wind and let those randomizing algorithms shake things up for you. I can vouch to the repeat-worthiness of each and every one of these so having listened to them more times than I care to ennumerate here. Instructions for use: Scroll down to embedded viewer. Play. Enjoy thoroughly. Repeat. Trouble watching the embedded player above? You can always play it from here. If you missed the first MLVP: Check it out here.